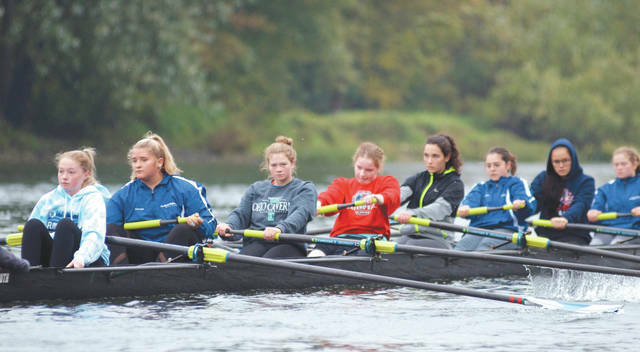 https://www.fairborndailyherald.com/wp-content/uploads/sites/50/2018/11/web1_DBCVarsityGirls8_PS.jpgMembers of the Dayton Boat Club’s novice girls 8+ rowing crew practice in October. DBC girls novice team medaled in each event they entered at an October regatta in Columbus. Submitted photos. https://www.fairborndailyherald.com/wp-content/uploads/sites/50/2018/11/web1_DaytonBoatClubVarsityBoysQuad_PS.jpgThis boys quad foursome was among the 77 Dayton Boat Club rowers to compete in recent events in Columbus, and Chattanooga, Tenn. Submitted photos.